I am very excited for the new live action Dumbo film! What better way to celebrate than with a yummy treat?! 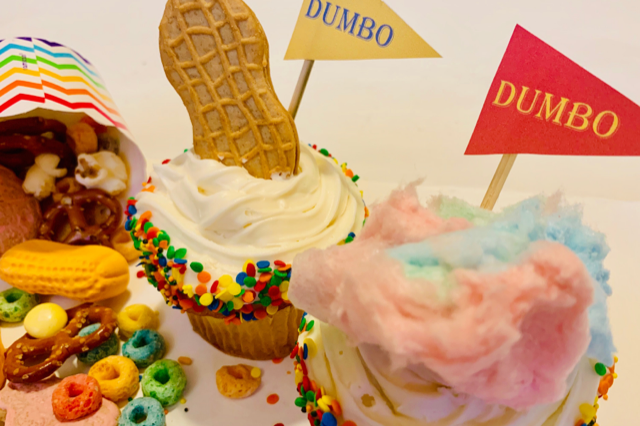 You can make these Delicious Dumbo Circus Cupcakes & Circus Mix that the whole family will enjoy! 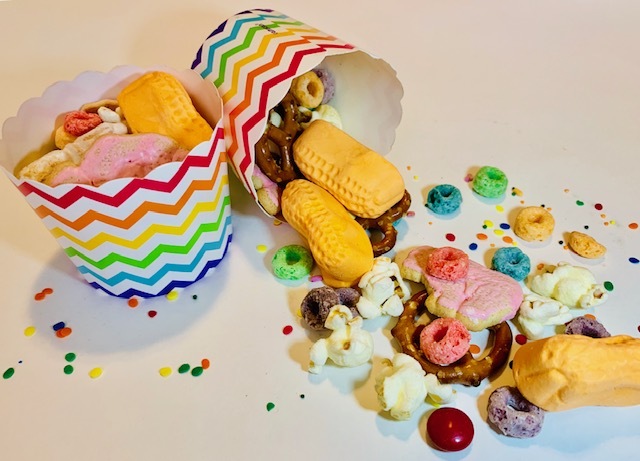 You can totally keep it simple and use a boxed mix, go for homemade, or even store bought 🙂 It wouldn’t be a circus or disney inspired treat without some fun toppings! 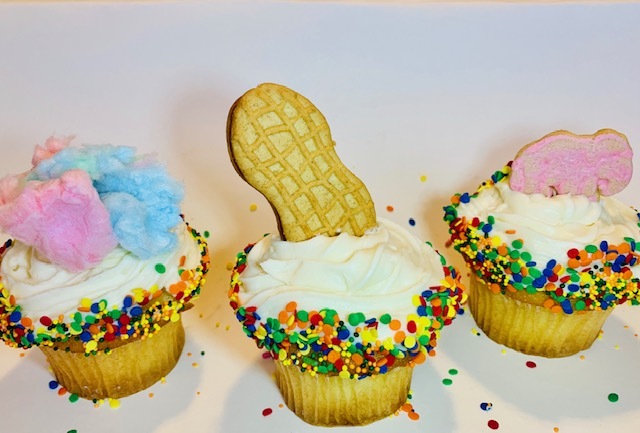 I made three versions of the cupcakes with Nutter Butter, Cotton Candy, and Animal Cracker toppings. See how these yummy treats turned out, and download these cute printables below! 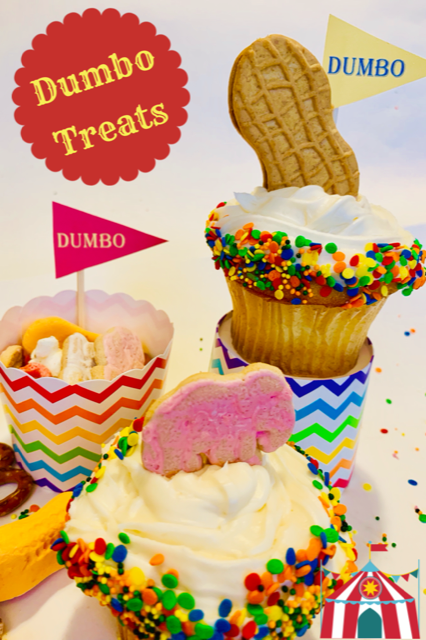 Use these DUMBO Pennants to top your treats! You can download, print, and cut these out yourselves. To add some circus themed fun, I decided to ice the cupcakes with vanilla frosting, then roll the edges in colorful sprinkles. This gives them a special circus touch. I added a circus topping to each one, and completed the cupcake with a “DUMBO” pennant. This is a really easy, crowd pleasing treat! I took some traditional elements of a circus and combined them in a sweet & crunchy mix! 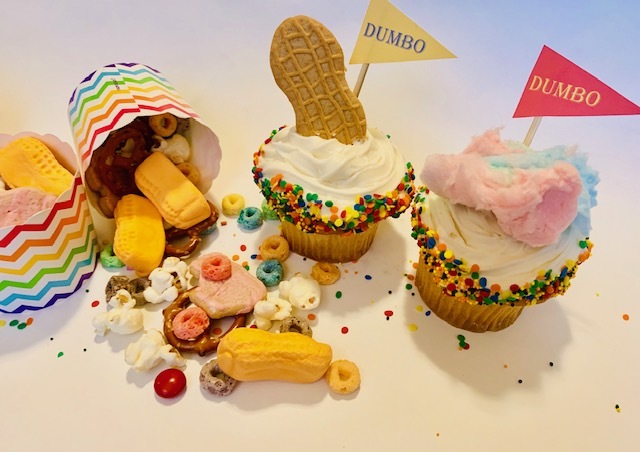 I hope you enjoy these Dumbo inspired treats! I can’t wait to see this movie. You can check out the full trailer here! « Spring Has Sprung at Tysons Corner Center! These are such cute and yummy! ideas here, I love the cookie idea you have here. I love the Dumbo cupcakes here!